People are becoming more technical and they are looking for more innovative things to happen at their hand over by converting your website to a native iPhone/iOS app or Android App is not that hard to afford. Now everyone is handling their smartphones and grab everything at their fingertip. People are looking for their comfort at their seat and so it is the best and good idea to have a mobile app for every business. Business owners are in the thought that steps to convert a website into a mobile app is too expensive and time-consuming. In fact, there are certain reasons mobile apps are better than websites. There are many advantages of converting websites into a mobile app so that the profit you gain. The mobile apps play a key role in bringing more traffic to your business. Mobile apps will help you and your customers to buy the products or can access your services by using mobile apps at your fingertips. Mobile app analytics helps the business owners to know the buyer analytics i.e how much time people are spending on mobile apps, how many people using mobile apps for buying, revenue generated using mobile apps. Before mentioning the importance of mobile apps let’s check out the following statistics which speaks about how successful mobile apps are proving to be for businesses. On average, an American spends about 5 hours of his/her time daily on his smartphone. According to the reports from App Annie, in 2018, the mobile app industry generated annual revenue of $60.1 billion. Statista reported that the gross annual revenue of the mobile app industry is projected to cross the figure of $189 billion by 2020. The Retrospective Report of 2018 by App Annie, stated that the total time spent in apps worldwide, raised by over 180 billion hours over year after year, which has reached to the number about 1000 billion hours in 2018. Even though if your website has a superior interface and architecture, it does not mean that the same interface will work for the mobile app too. That’s why you need enhanced architecture and customized interface to keep your mobile app user as happy as your website visitor. In case if you need to change the design and interface then you need not to go for a complete look and design. It’s beneficial if you maintain the familiar design colour patterns, etc. to make sure the user is using the app of the same brand. It is good to keep the website and mobile app users in a single alignment. For a website, it doesn’t need access to any data and accessories whereas app requires. Depending on the requirements of your business you need to define the accessories and data for your app. For example, camera, location, microphone, contacts or other features. You should analyse the type of data and accessories that are needed to access with your app as they are key part while converting the website into a mobile app. Users are already got to use instant gratification. It keeps the users engage and app popularity. When the app loading time increases and also the number of screens or actions get bigger the user interest on the app will decrease. The use of app decreases when the search feature filters are more. For example, providing personalised information, booking or checking out process requires simple and less number of clicks or operations, instant access to information or some item delivery status, etc. are some of the engaging features for users, which will increase the chances of your app retention. 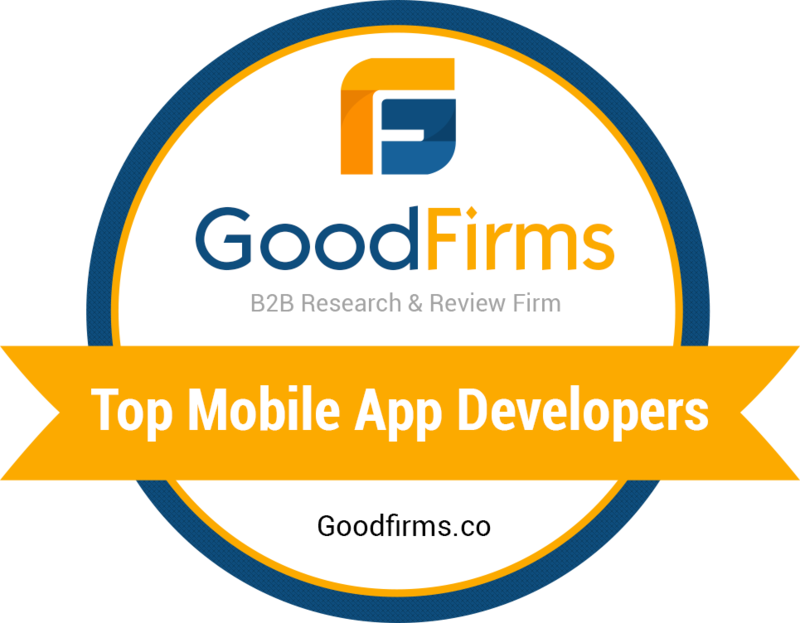 It is important to give a gratifying reward for your app user’s time and attention given to the mobile app. Including such strategies within your mobile app is called retention mechanisms, which are responsible for user engagement. How to turn a website into a Mobile App? Transfer the website functionality to the app. Develop the application with all the essential features and enhance it. Make an app with a fully specific feature. There is no ideal recipe to use. In general scenario businesses always prefer to develop a mobile app with core functionalities and add other enhanced features over time. Make sure to develop a mobile app with a pack of beneficial features. But remember never overdo it! And try to keep it simple, functional and unique. Converters: These are explicitly aimed to convert the website to a mobile app. They are very useful for Android and poorly designed for iOS. Professional App Developers: Who will develop the app with fully functioning and with great attractive look for the mobile application. Using this the app quality will be maintained and also influences the business owners for their success. In this way, the program takes all the essential features and transfers it to the future app. Even you can create the app in a very simple builder using templates or by dragging needed features into your app. So then you can quickly publish it in the well-known stores. It will be considered as the cheaper version of a real app. The cost of converting your website into a mobile app will depend on the time, features that you want to use and many other options. There a lot of information online offering to turn a site into an app within a few clicks. Let’s acquaint you with the most accessible path and find out the best fastest converters available. Build Fire has a set of features that you can add to your app within a simple drag-and-drop action. In this, there are design options that include the opportunity to use your brand images and choose the brand colours. In features, you can add your loyalty program with loyalty features or a blog with an RSS feed. Como is an appropriate solution for small businesses which offers features like reservations, scheduling, blog feed and many other options. DWNLD is especially used for the iOS platform which is a new one but available with an exciting pack of features. SwebApps is a unique one due to its specific list it offers for the data organization. With its specific calculator feature, it is convenient for the apps from particular spheres. Mobile has a bulk of templates that you can use for the app. Mobiloud is the best solution for WordPress sites. It has a special feature that the mobile app will be updated whenever the WordPress site is updated. What are the problems associated with using a website to mobile app converter tools? Most of the converters can only work with websites build on JS, HTML and CSS. But in some cases you might need to create an app from the very beginning that requires additional time, cost, anyhow the app might not look good and work fast. Some of the converters will not support working with specific features a mobile device offers. It is impossible to convert your website to a native Android or iOS app that has high performance and friendly UI. Converters will offer only a limited range of features. It is very hard to scale up an improve the app in future. In case if you want to transform it into a high-grade product then you need to work from scratch with professionals. You are one among those who want to get the app ready from scratch with the fully-functioning product. Here you know the most efficient and appropriate way of turning a website into an app. In this first, you need to consider developing an MVP which is a functional prototype that includes core features and then over time you need to add the other functionality. In this, you can test your idea and make the main improvements fro the very beginning without wasting extra time or money. Except that you will receive the expected feedback from the users and work closely with the developers for further improvements. It is well-known fact that investing in an MVP is crucial and builds an unshakeable foundation for future application success. If you want to convert your website into a mobile app properly, then you should adhere to the essential principles of the mobile UX. It is very important to be selective and choose only the key features as the website contains the bulk of buttons and other visual components. Importing all these buttons into the mobile version is impossible without any regret. Interaction with websites are sometimes very complicated. So while development of the mobile app the interface should be very clear orientation and in simple navigation. Otherwise, the app user will leave the app quickly. Gesture now become more popular and so the developers are using this way to navigate from one screen to another. It saves more space that can be used for other content. Once the app was ready we need to be confident that it works efficiently on all the screens and platforms like Android or iOS. With iOS, you have fewer issues with fragmentation for iOS, but with Android, there are fewer UI requirements. There are lots of advantages of converting a website into a mobile app. They can be able to use a device’s services and hardware. With the device’s GPS, camera, gyroscope, compass etc. we can define the location, position and so on. In this digital advanced era just being in the present online can’t help you lead the race. You need to go the app to attain more customers and make your business a big success. So if you own a business website and are still thinking of creating an app, then you are losing out on numerous great opportunities for your business each and every minute. With your mobile app, you can make your products and services available to the customers right at their fingertips and grow your business dramatically. You are aware of the benefits of going the mobile app way, then what’s making you stop and earn money out of it! Convert your website into an app for Android and iOS and enjoy the fruitful results in the long run. We in Krify software technologies strongly believe in the importance of user-centred and tailor-made solutions for the businesses. To gain real fame, an app should offer value, solve a particular issue, engage and keep the user’s attention. And at the same time, it should be easy to use. All these factors will make the mobile app a new profitable channel for your business. Converting your website into mobile app is much simple now. Just do little research and effort to find a suitable mobile app development company to build native mobile apps for your business. If you are looking forward to scaling up your business digitally, having a mobile app for your business will bring the best ROI and will help grow your business. Contact us today to get a free quote for a native Android or iPhone app development for your business.